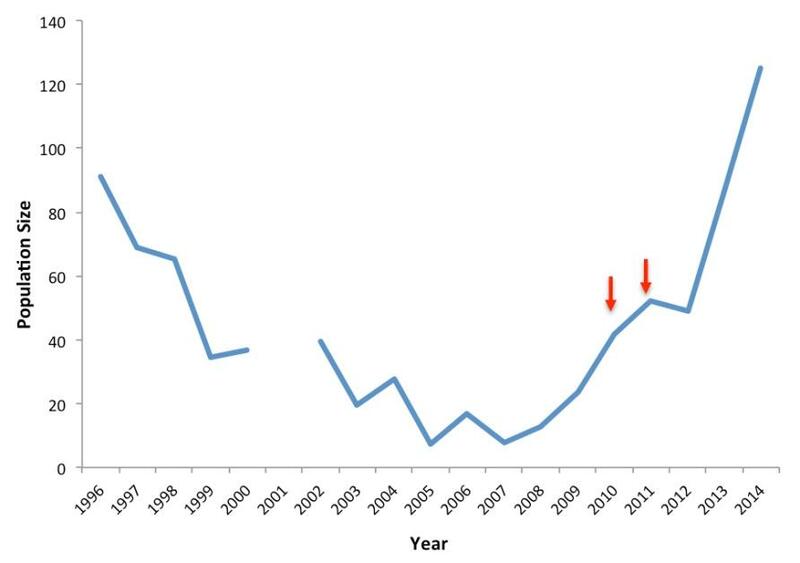 Despite our best efforts to curb biodiversity loss, extinction rates are increasing globally. Extinction rates are now arguably approaching or exceeding those seen during historic global extinction events, such as the event that wiped out the dinosaurs 60 million years ago. With climate change and a growing human population, these trends will only continue. In the face of this impending avalanche of extinctions we will need every foothold we can gain if we are to minimise the loss of biodiversity. The ‘business as usual’ approach to species conservation simply will not work. Whether we like it or not, we can’t conserve every population. The mountain pygmy possum exists as three isolated populations. Picture Andrew Weeks. During the 1980s and 1990s the paradigm for conservation was to conserve species through conserving populations; species are composed of sets of populations, after all. This approach has the added benefit of conserving genetic variation within each species. Many species including most of our native fish, plants, mammals and invertebrates are composed of sub-populations that have been more or less isolated from each other for millennia, and each subpopulation may represent tens of thousands of years of independent evolution. 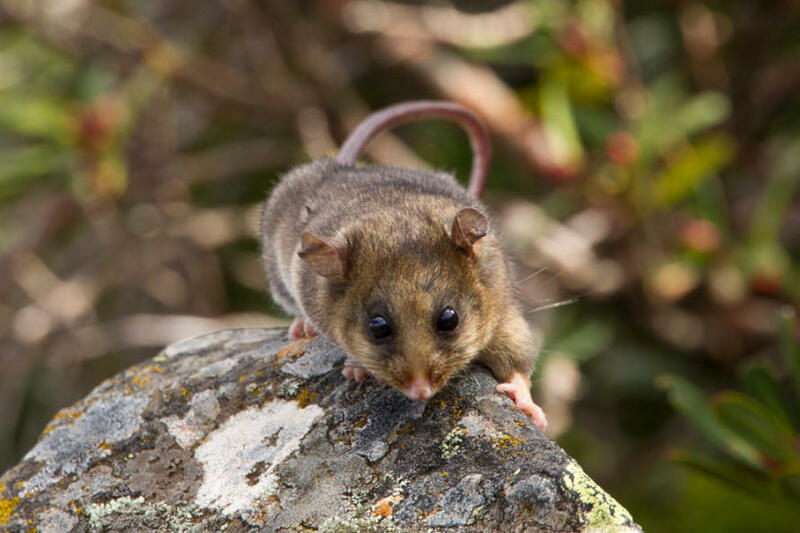 For example, the mountain pygmy possum is restricted to three regions of Australia’s alpine zone and each of these regions has been isolated for more than 100,000 years. Conservationists rightly sought to preserve this variation by both conserving populations but also by minimising movement of individuals between populations. Increasingly, however, we find ourselves in a situation of triage, where we cannot possibly conserve every population. As a consequence, over the coming decades there will be increased attention on the species, rather than the population, as the fundamental unit of conservation. Conservation efforts over the last thirty years have ensured, as far as possible, that we have multiple (often long-isolated) populations for many species. It is time that we look hard at capitalising on this resource to ensure the persistence of species over the coming decades. Without such intervention, many species simply don’t stand a chance. Species are becoming restricted to smaller and smaller habitats due to human pressures, climate change and the onslaught of invasive species. Once fragmented, or reduced in size for other reasons, populations become prone to the loss of genetic diversity through a process called genetic drift. What is drift? Well, when you flip a coin 100 times, there’s an almost 100 percent chance that you’ll get at least one head. When you flip it once, you’ve only got a 50 percent chance of seeing that head. So too with genetic variants in populations: produce only a small number of individuals and there becomes a good chance that some genetic variants do not appear in the new generation. Unlike a coin toss, once these variants are lost, they may never re-appear. 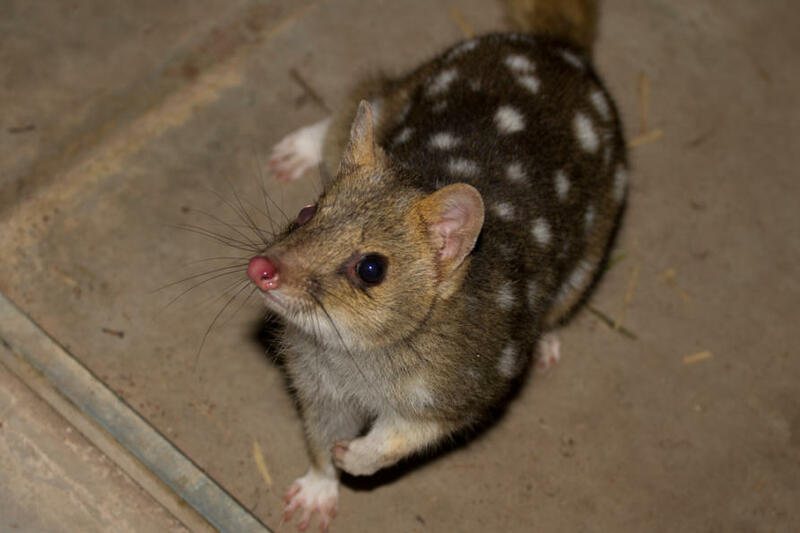 We have good evidence that populations of species ranging from rock wallabies and bandicoots through to lizards, snails and endangered birds as well as Grevilleas and banksias have lost genetic variation through drift processes. 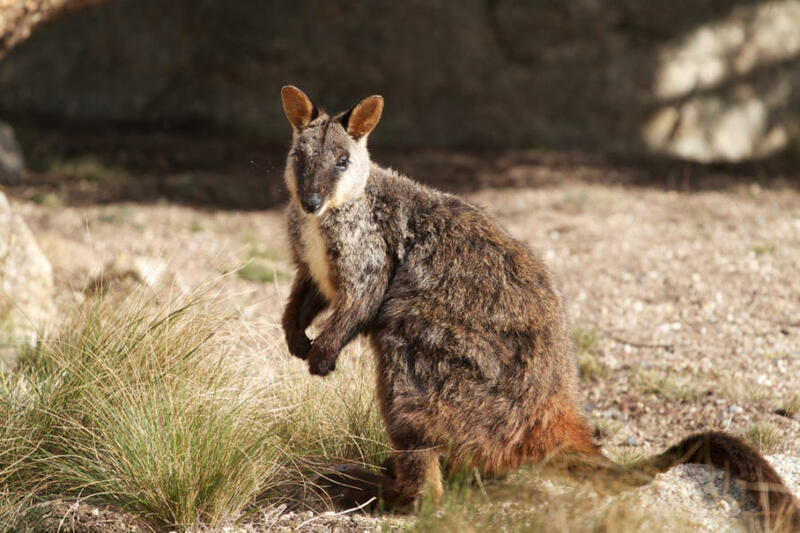 Rock wallabies have suffered from genetic drift. Picture: Andrew Weeks. Lowered genetic diversity is bad for two reasons. First, it tends to result in populations that are less fit (i.e., which produce fewer offspring on average). Second, it severely restricts a population’s ability to adapt to changing circumstances. This is why some authors have referred to the combination of climate change and fragmentation as a “deadly anthropogenic cocktail”: populations are having to adapt to climate change at the same time as they are losing diversity through small population size. All is not lost, however. One powerful way to increase genetic diversity is to move individuals between subpopulations. When variants are lost from a population, we can bring variation back by introducing individuals from a different population. Simply adding new individuals to a very small population increases genetic diversity, and can immediately increase both the fitness of the population and it’s capacity to adapt to changing conditions. We call this gene pool mixing. But we can also be more strategic in our translocations using a process called targeted gene flow, which aims to deliberately increase the frequency of beneficial variants in a population. Studies have repeatedly shown that rapid reductions in genetic diversity, as we are seeing in populations worldwide, increase the risk of extinction. By moving individuals between populations, and allowing those individuals to interbreed with local populations, we generate offspring with increased genetic diversity. In doing so we often find the population starts to produce more offspring, and we can also expect the population to adapt faster to future change. It’s like when zoos exchange animals with other zoos to stop inbreeding within their own tiny populations; this happens for relatively common zoo animals (e.g. giraffes, elephants, gorillas), but also in global zoo breeding programs for threatened species (e.g. black rhinoceroses, Asian elephants and red pandas). Although this strategy makes a lot of sense, it differs from traditional conservation approaches because it aims to maximise and increase genetic variation within populations, rather than maintaining (or minimising the loss of) genetic variation found across different populations. Gene pool mixing is an innovative strategy gaining momentum internationally and locally. Overseas, for example, the approach has been instrumental in the recovery of the American greater prairie-chicken, the Florida panther, and the Mexican wolf. Mountain pygmy possum numbers at Mt Buller since 1996. The red arrows indicate the years when six males were moved from Mt Hotham to increase the genetic variation in the local Mt Buller population. The same strategy could, of course, be applied to many other threatened Australian animals and plants. And it might also be extended to crosses between sub-species that have been isolated for some time, although the approach would then need to be applied more cautiously. For some sub-species that exist only as a single, small and declining population (for example the western ground parrot) this may be the only option. Without widening the gene pool, many of our threatened species have few options for adaptation, and are at an increasing risk of suffering the consequences of maladaptation and inbreeding. Many processes that threaten populations are predictable. We know, for example, that the world is going to get a lot hotter over the coming decades. We also know that cane toads will continue to spread through the Kimberley and cause declines in native predators such as goannas and quolls. Targeted gene flow looks to bolster populations against predictable change. By moving warm-adapted variants to currently cool-adapted populations we may massively increase the capacity of those populations to adapt to climate change. Similarly, by moving toad-adapted variants to populations about to be impacted by toads, we bolster those populations’ chances of surviving that impact. 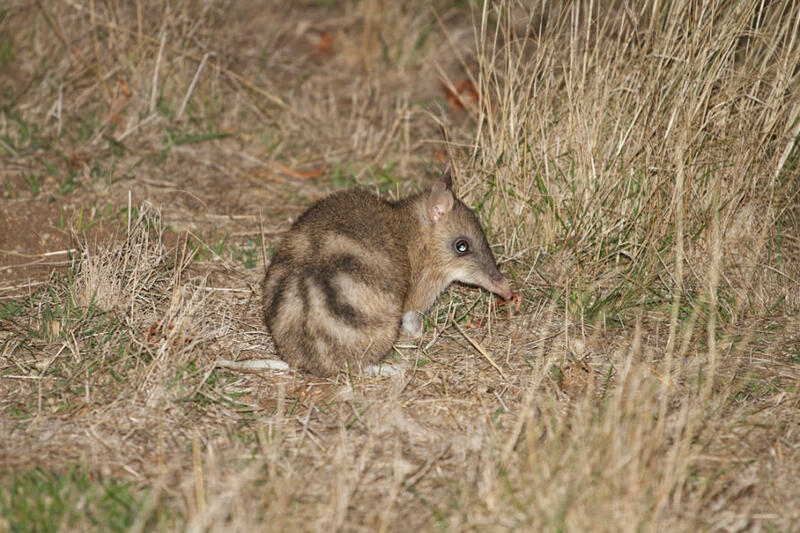 Some populations of northern quoll have adapted to avoid cane toads. Picture: Andrew Weeks. The strategy of targeted gene flow is very new and, as such, has few well-documented examples. Nonetheless, it is beginning to be practiced, particularly in forestry and vegetation restoration projects. In these contexts the usual rule was to obtain seed and seedlings with local provenance. Increasingly, however, it is clear that on the time-scale that it takes forests to grow, the climate will change substantially. Thus foresters and restoration practitioners are increasingly looking to source founder stock from warmer locales. Doing so makes good sense, and protects their investment. In the coming decades most species will have less space available to them than they do today, and therefore will likely be composed of fewer populations. By careful use of genetically-motivated translocations, however, we may be able to help species persist and adapt to their rapidly changing world. Doing so is a departure from the ordinary way of doing things, but it will be necessary; we live in extraordinary times. A counter-intuitive idea to introduce more of an invasive species in order to halt their spread. It might just work.